Gamma aminobutyric acid (GABA) is a non protein amino acid found in various organisms including plants. In recent years, the signal role of GABA in the stress response has of special interest. However, the effects of exogenous GABA on phenolic compounds which have special roles as antioxidants are not well known. In this study, the effects of exogenous GABA on endogenous GABA and phenolic contents were analyzed in tomato plants under salt stress. Tomato plants were grown in a growth chamber under controlled conditions and NaCl and GABA were applied in Hoagland solution. Qualitative and quantitative analysis of GABA and phenolic compounds (Benzoic, caffeic, chlorogenic, gallic, hydroxybenzoic, syringic, rosmarinic, p-coumaric, sinapic, t-cinnamic, t-ferulic acids, catechin, epicatechin, hesperidin and quercetin) were measured by HPLC. Differences were found in chlorogenic acid, coumaric acid and gallic acid among the phenolic substances. We found a significant increase in gallic acid and coumaric acid contents under 200 mM NaCl and GABA applications. Exogenous GABA treatment caused a slight increase in endogenous GABA content. The increase in GABA content under GABA+salt treatments were higher than that of single salt and GABA applications. According to our results we can suggest that exogenous GABA could enhance the stress response by enhancing some phenolic substances and GABA content under salt stress. 1. Kinnersley, AM, Turano, FJ, Gamma aminobutyric acid (GABA) and plant responses to stress, Critical Reviews in Plant Sciences, 2000, 479–509. 2. Bouche, N, Fromm, H, GABA in plants:just a metabolite? Trends in Plant Science, 2004, 9(3), 110–115. 3. Shelp, BJ, Mullen, RT, Waller, JC, Compartmentation of GABA metabolism raises intriguing questions. Trends in Plant Science, 2012, 17(2), 57–9. 4. Michaeli, S, Fromm, H, Closing the loop on the GABA shunt in plants: Are GABA metabolism and signaling entwined ? Frontiers in Plant Science, 2015, 6:1–7. 5. Ramesh, SA, Tyerman, SD, Gilliham, M, Xu, B, γ-Aminobutyric acid (GABA) signalling in plants, Cellular and Molecular Life Sciences, 2017, 74, 1577–1603. 6. Wang, C, Fan, L, Gao, H, Polyamine biosynthesis and degradation are modulated by exogenous gamma-aminobutyric acid in root-zone hypoxia-stressed melon roots, Plant Physiology Biochemistry, 2014, 82:17–26. 7. Shi, SQ, Shi, Z, Jiang, ZP, Effects of exogenous GABA on gene expression of Caragana intermedia roots under NaCl stress: regulatory roles for H2O2 and ethylene production, Plant Cell Environment, 2010, 33:149–62. 8. Petridis, A, Therios, I, Samouris, G, Tananaki, C, Salinity-induced changes in phenolic compounds in leaves and roots of four olive cultivars (Olea europaea L.) and their relationship to antioxidant activity, Environmental and Experimental Botany, 2012, 79, 37–43. 9. 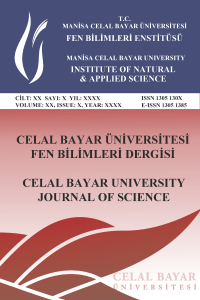 Bor, M, Seckin, B, Ozgur, R, Yılmaz, O, Ozdemir, F, Turkan, I, Comparative effects of drought, salt, heavy metal and heat stresses on gamma-aminobutryric acid levels of sesame (Sesamum indicum L.). Acta Physiologiae Plantarum, 2009, 31(3), 655–659. 10. Caponio, F, Alloggio, V, Gomes, T, Phenolic compounds of virgin olive oil: Influence of paste preparation techniques. Food Chemistry, 1999, 64(2), 203–209. 11. Deleu, C, Faes, P, Niogret, MF, Bouchereau, A, Effects of the inhibitor of the γ-aminobutyrate-transaminase, vinyl-γ-aminobutyrate, on development and nitrogen metabolism in Brassica napus seedlings, Plant Physiology and Biochemistry, 2013, 64:60–9. 12. Paradisone, V, Barrameda-Medina, Y, Montesinos-Pereira, D, Romero, L, Esposito, S, Ruiz, JM, Roles of some nitrogenous compounds protectors in the resistance to zinc toxicity in Lactuca sativa cv. Phillipus and Brassica oleracea cv. Bronco. Acta Physiologia Plantarum, 2015, 37:1–8. 13. Kinnersley, AM, Lin, F, Receptor modifiers indicate that 4-aminobutyric acid (GABA) is a potential modulator of ion transport in plants. Plant Growth Regulation, 2000, 32:65–76. 14. Li, Y, Fan, Y, Ma, Y, Zhang, Z, Yue, H, Wang, L, Jiao, Y, Effects of exogenous γ-aminobutyric acid (GABA) on photosynthesis and antioxidant system in Pepper (Capsicum annuum L.) seedlings under low light stress. Journal of Plant Growth Regulation, 2017, 36(2), 436-449. 15. Sheng, L, Shen, D, Luo, Y, Exogenous γ-aminobutyric acid treatment affects citrate and amino acid accumulation to improve fruit quality and storage performance of postharvest Citrus fruit. Food Chemistry, 2017, 216:138–145. 16. Alqarawi, AA, Hashem, A, Abd-Allah, EF, Al-Huqail, AA, Alshahrani, TS, Alshalawi, SR, Egamberdieva, D, Protective role of gamma amminobutyric acid on Cassia italica Mill. under salt stress, Legume Research, 2016, 39, 396–404. 17. Rice-Evans, NCA, GeorgePaganga JMG, Structure-antioxidant activity relationships of flavonoids and phenolic acids, Free Radical Biology and Medicine, 1996, 20 (7) 933-956.